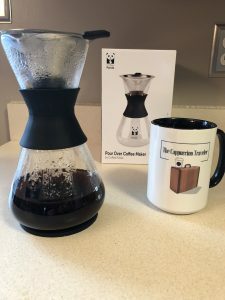 I love coffee made with a pour over coffee maker! 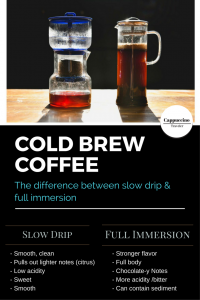 There is an amazing, different flavor when you experiment with various brewing methods. 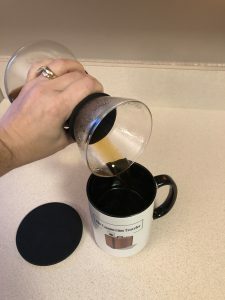 While the most popular is drip coffee makers and french press, my favorite is the pour over method.Â You can read exactly what a pour over is in my post here,Â What is a Pour OverÂ . French press is the most popular, but I find it can be strong and muddy. The sediment at the bottom of my cup is something I can live without too, lol. Â I prefer a cleaner tasting coffee so I can fully experience the array of flavors a coffee bean can produce. There is never any leftover sediment either. 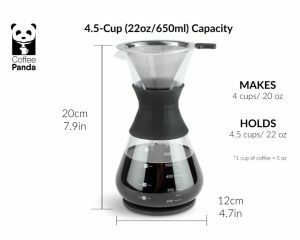 Sometimes for beginners, pour over coffee makers can seem complicated. This is not the case with the Coffee Panda Pour Over Coffee Maker. I found this easy to use with little prep or set up time. 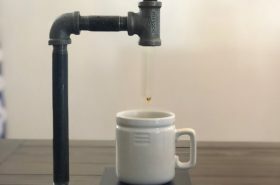 I usually don’t make pour over coffee in the morning, but this is so simple to use, I am convinced this would be a great way to enjoy my first cup of the day! 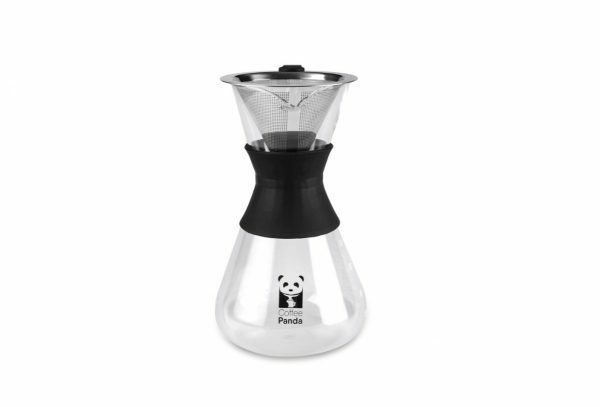 The Coffee Panda pour over coffee maker is simple and non threatening to use to a beginner. 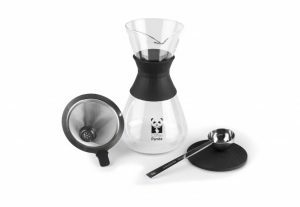 The kit comes with everything you need to enjoy coffee pour over style. The rubber trivet and stainless steal coffee scoop was a nice bonus! It will make a fantastic gift and is very sharp in style. 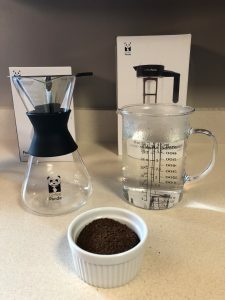 While I own other pour over coffee makers, I like how easy this was to use. The steel mesh filter is great and no need to worry about buying more filters! 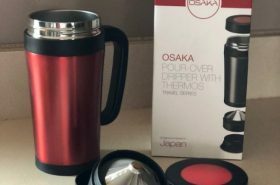 It makes four cups of coffee which is perfect size for a travel mug or to enjoy a morning cup or two. 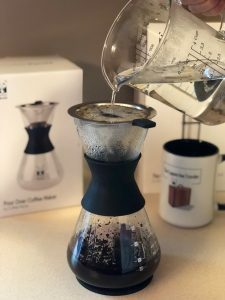 To grab YOURS now – click this link, I want a Pour Over Maker!Â and it will take you to the Coffee Lover’s Shop on The Cappuccino Traveler Website. 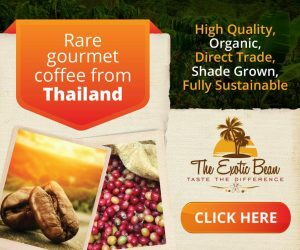 Scroll down to Coffee Panda and the website listed. 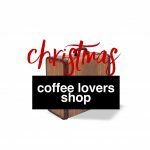 You can ALSO find the website to grab a Cappuccino Traveler coffee mug in the shop too! 1 – SHARE THIS BLOG POST, (not the Facebook post) to your Facebook page. (Share buttons at bottom of screen) Then, TAG me, @The Cappuccino Traveler in the shared post. 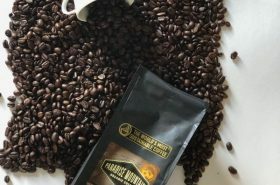 I love sharing great coffee products with you my readers! 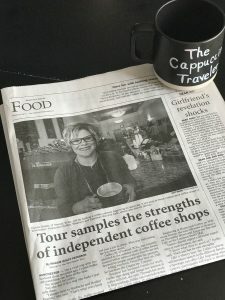 Many of you don’t have a local coffee shop nearby, so I love assisting you on making great coffee at home! Disclosure: This post may contain affiliate links. 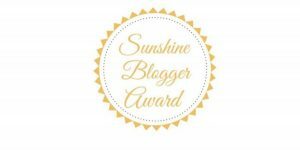 The Cappuccino Traveler is a professional review site that receives compensation from the companies whose products I review. I test each product throughly and give high marks to only the best. I am independently owned and the opinions expressed here are my own. This looks amazing! I have a few serious coffee drinkers on my Christmas list so this is just what I needed. This is really awesome!!! 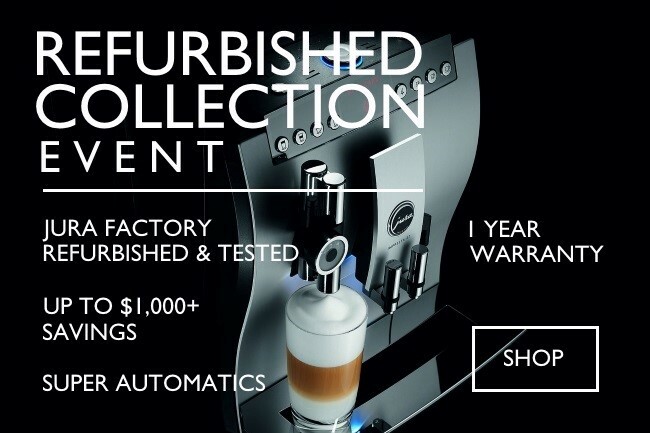 I love coffee we have a keruig but I have thought about picking up something like this for fresh ground coffee!! K cups can only do so much right.